30 Nov 2016 / 14:50 H.
Filepix of controversial rapper Namewee. GEORGE TOWN: Police will soon submit their investigation papers (IP) to the Attorney-General Chambers (AGM) on political cartoonist Zunar. Penang police chief Datuk Abdul Gaffar Rajab said they have recorded statements from six people following Zunar, whose real name is Zulkifli SM Anwarul Haque, was detained on Saturday over a cartoon exhibition which was deemed to have insulted Prime Minister Datuk Seri Najib Abdul Razak. The exhibition was disrupted by an unruly mob that day who later lodged police reports which led to the arrest of Zunar. 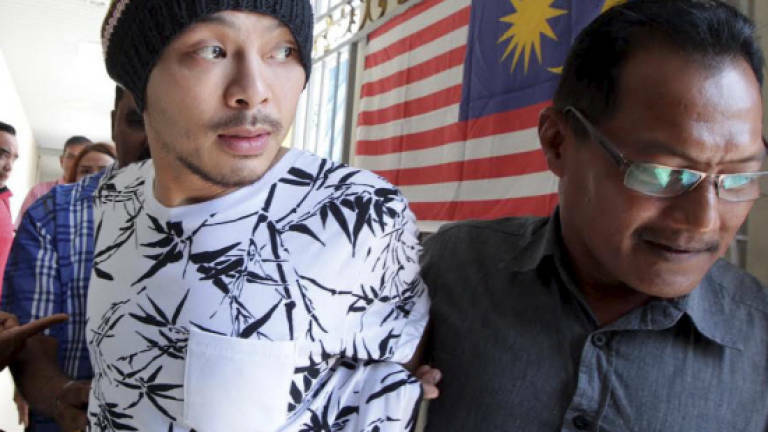 Asked whether they will initiate a probe on the music video by controversial rapper Namewee who sang about his experience under remand, Abdul Gaffar said they have yet to decide. "It was merely his own version of his experience," he told reporters after attending the Penang police monthly assembly yesterday. Namewee, whose real name is Wee Meng Chee, in the five-minute video sang in Mandarin and Malay about his experience after being arrested last August. He was detained by the police on Aug 21 for an earlier music video titled "Oh My God" where he was alleged to have insulted several religions. On the investigation of the video, Abdul Gaffar said the IP will soon be forwarded to the AGM for further action. Earlier, Abdul Gaffar witnessed SAC Zainol Samah receiving his duties as Penang CID chief. The former Dang Wangi district police chief took over from Datuk Razaruddin Hussain who has assumed the post of Sabah deputy police chief.